1 granny smith apple, washed and dried, keep skin on. In bowl, mix the lemon juice with 2 tablespoons water set aside. Cut the fennel into thin slices. Cut the apple into thin slices, then briefly dip the apple slices in the lemon juice water to keep the pulp from darkening. 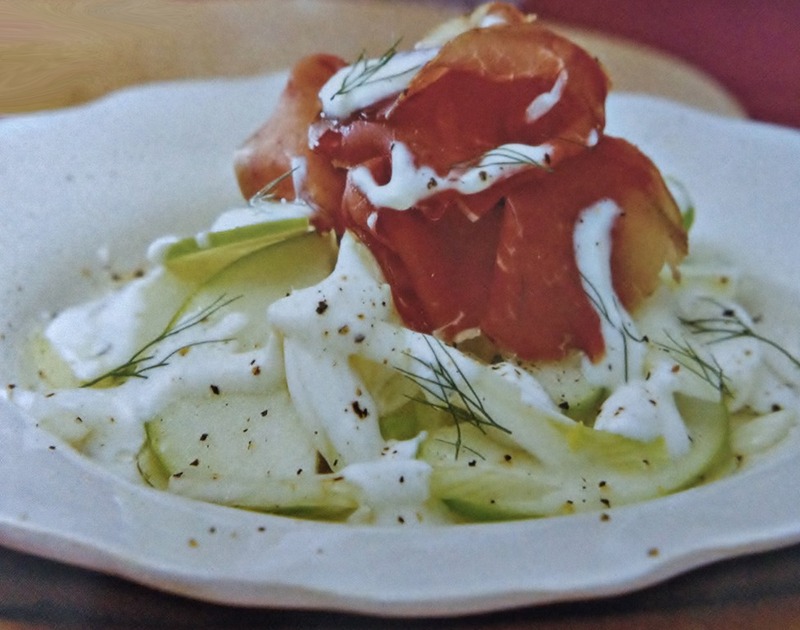 Toss the apple and fennel together, season to taste with salt and pepper and place a portion on each plate. Arrange the Bresaola slices in the middle and drizzle with the dressing. With dill or fennel fronds. Bresaola is dried salted beef available from delicatessens. Pernod Anise and Ricard Pastis, are both anise-flavoured liqueurs and are often referred to simply as Pernod or Ricard.